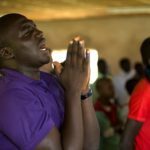 A pastor and his son are among the latest casualties of violence in the Central African Republic, which continues despite the recent appointment of Catherine Samba-Panza as interim President. Rev. 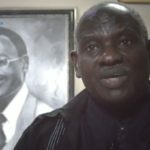 Pierre-Séverin Kongbo, 52, his son Dieubéni were killed on Jan. 28 by former members of the disbanded Séléka group in the Bégoua church compound in northern Bangui, the capital. A day earlier, about 600 presidential guards were transferred by French and African forces from the town centre to a military base at the northern edge of the city, following the resignation of President Michel Djotodia. Kongbo and his son were killed after the presidential guards retaliated following an attack. The pastor, who was also a board member of the Union of Baptist Churches in the CAR, is survived by his wife and five children. He and his son were buried on Jan. 29 at the Bégoua church compound. 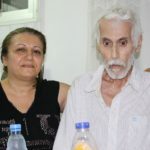 His wife told World Watch Monitor that rebels had visited their home two weeks before, asking for her husband. She told them the pastor was not at home and gave them all the money she had at the house (10,000 CFA or approx. €15). On Jan. 28, the rebels returned, shouting “Allahu Akbar” (“God is great”), before shooting the pastor and his oldest son. The Central African Republic has been beset by violence since December 2012, when a coalition of rebel groups, led by Djotodia under the Séléka banner, moved through the country to eventually drive out President Francois Bozizé in March 2013. 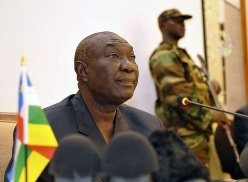 Djotodia took control of a transitional government, but lost control of Séléka soldiers. He disbanded Séléka in September and resigned last month. The National Assembly elected Samba-Panza president on Jan. 20, making her the first female president of the CAR. The violence has continued during the governmental transition. On Jan. 2, loud explosions and heavy artillery were heard in Bangui. The 5th and the 3rd arrondissements, or administrative districts, were the main affected areas, a resident, whose identity cannot be disclosed for security reasons, told World Watch Monitor. Since Djotodia’s resignation and exile to Benin, hundreds of ex-Séléka members have left the capital, leaving desolation in their wake. Seventy-five people have been killed in the past week in sectarian violence in Boda town, 100 kilometres west of Bangui. 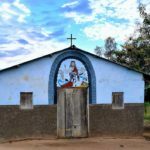 In the northwest town of Boali, at least seven were killed and 700 Muslims have sought refuge in the local Catholic Church. “I am not going to let anyone hurt the people inside my church; it doesn’t matter whether they are Christians or Muslims,” said Fr. Xavier Fagba in an interview on French TV. 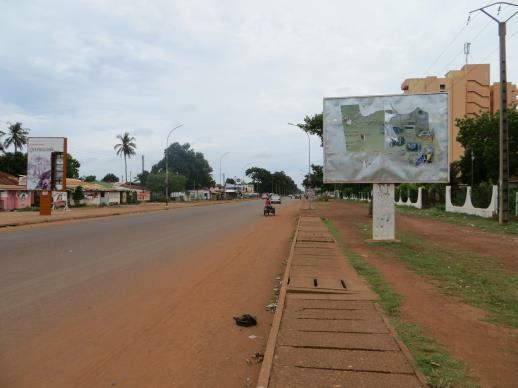 The northern town of Sibut, 200 kilometres from the capital, was occupied and subjected to looting for several days, forcing residents to flee into the bush, according to local news reports. Séléka members have withdrawn from the city at the arrival of French and African forces. 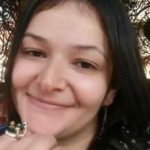 Their departure has raised fear of atrocities in other cities in the far north, toward which the former rebels seem to be moving. The towns of Bocaranga and Bria resemble ghost towns, and dozens of people are feared killed. Similar scenes of desolation were reported in Bouar, near the Chadian border, where a group of about one thousand Séléka members arrived aboard 30 vehicles. “People are fleeing. It appears that the Séléka, on their way back to Chad, are burning villages as they go. They have stolen vehicles belonging to local priests,” said a local source, whose identity is being withheld to protect his security. Samba-Panza strongly denounced the ongoing violence in Bangui and the provincial towns in a televised speech on Jan. 31. More than 1 million people have been displaced and 2 million require urgent humanitarian assistance, according to humanitarian agencies. About 1,600 French troops and 4,000 African-led forces have been deployed in the CAR, but the United Nations recommends 10,000 troops are needed in the country, which is as large as France, Belgium, Denmark and Luxembourg combined. A donor conference held on Feb. 1 in Ethiopia’s capital, Addis Ababa, has raised over US $300 million to assure the funding of the African-led force.